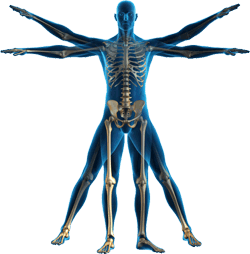 Kinesiology is a new and advanced field of study within the health and fitness industries. Kinesiology is defined as the study of human movement, and Corrective Kinesiology can be defined as corrective movement (exercise) techniques that are used to correct muscle imbalances and postural deviations that affect the way humans can optimally move and function through life. Corrective Kinesiology is based on the fact that the human body can function more effectively when it is in proper alignment and balance, and that training to bring the body as close as possible to optimal alignment will only increase the potential of our body to perform better in everything it does regardless of age. Unlike most fitness training that is based on how our body looks, Corrective Kinesiology is based on how our body functions and is designed to be a complement to traditional exercise. It is the next progression in the future of Applied Fitness Sciences. The corrective exercise techniques that are used are specific to each individual and are based on the results of an advanced comprehensive fitness assessment and screening process. In the Health (healthcare) industry there have always been numerous testing and screening procedures (blood tests, x-rays, physical exams, ect.) so that the treatment administered is more specific to each individual. In the fitness industry that is not true. 99% of all people that engage in fitness activities have never been through any type of in depth fitness assessment or testing procedure. The reason we do not see this done in the fitness industry is because there are not enough qualified fitness professionals to administer these procedures. Less than 5 % of all fitness professionals have any type of degree related to fitness, and as a result you will find very few places that have the capabilities to offer these types of advanced scientific testing techniques. It is essential that the administrator of these tests have a thorough knowledge of Anatomy, Physiology, Kinesiology, and Biomechanics. It is very similar to the formal education required of most healthcare professionals but the knowledge is applied to prevention instead of treatment. In the near future, as there are more and more qualified fitness professionals available to administer these types of individualized assessments, there is no doubt that this is future of the entire fitness industry. Unlike most under qualified fitness professionals, a Kinesiologist will not only look at the advantages of exercises, but will also consider the disadvantages of certain exercise. In stead of generalized fitness programs that are used for everyone, a Kinesiologist has the ability to do a complete physical evaluation of someone and then develop a program that is specific to that individual. These individualities need to be considered and are essential for proper fitness programming. The effects of improper fitness training are not usually quickly noticed. It is the negative effect that it is having on so many people later in their lives, that is making this such an important area of study for the most highly educated fitness professionals in the industry. A lot of people assume that any exercise is good exercise, and this is simply not true. Furthermore, there are absolutely specific exercises that are more beneficial to one person as compared to another. Individualities to be considered include…Range of motion and flexibility of all joints in the body , Length/tension ratios of opposing muscle groups, Spinal deviations and postural alignment, Muscle tightness and imbalances, Wear and tear of overused muscles, Existing injuries, Injury susceptibility, Neuromuscular abnormalities, Individual repetitive movement patterns, and Complete functional capacity.